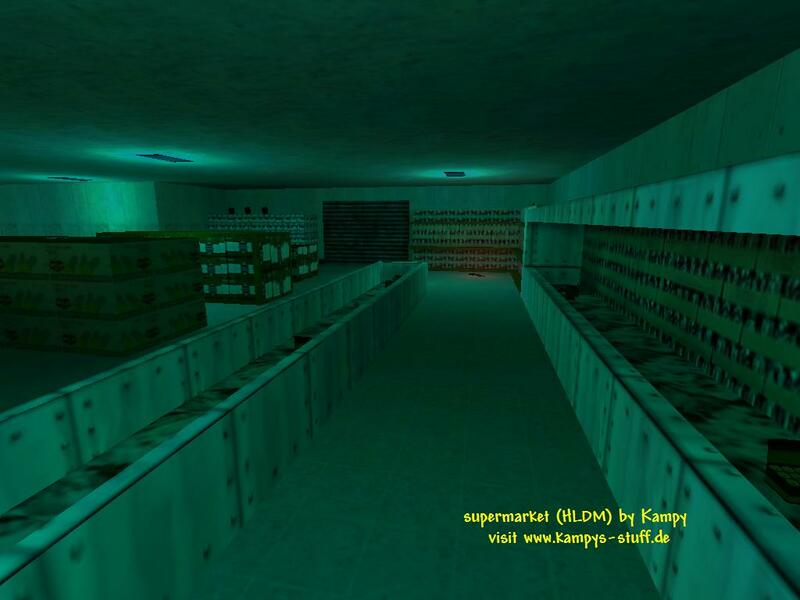 This is a very small map with a supermarket theme, that's how the PLUS supermarket next to my former flat looked, ... okay perhaps without the weapons everywhere ;) I made it together with ***GERILLA*** formally known as TERROR_PSYCHO ;)) he had the idea and helped at the basement. 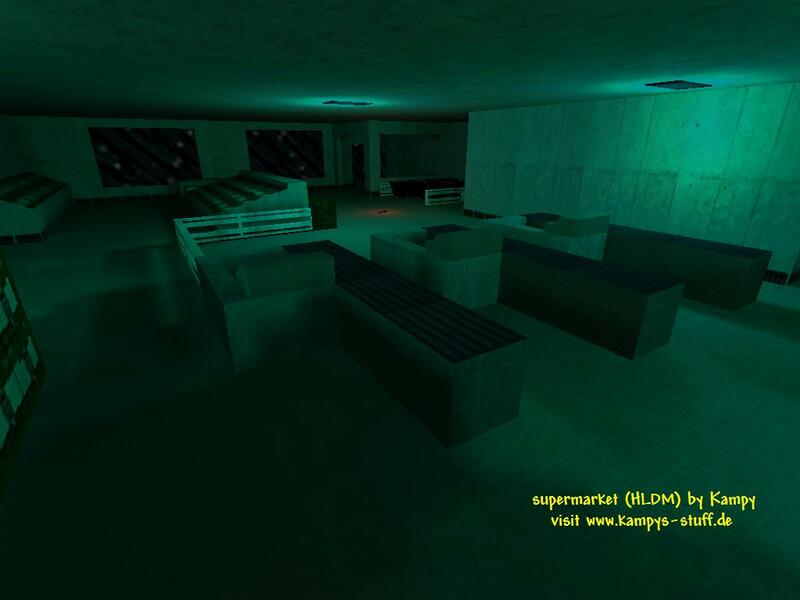 The map itself consists of a big room with shelves blocking the sight. You can climb the shelves and find the crossbow and some items, but it's dangerous to stay there cause youre an easy target if youre seen by everybody. The map plays hecticly, but it's not too stressy since the size of the room is not that small and there are a lot of cover through the shelves and other stuff. Due to the size of the map there are no heavy weapons in it. Most of the time you use the colt, the shotgun or the machine gun. 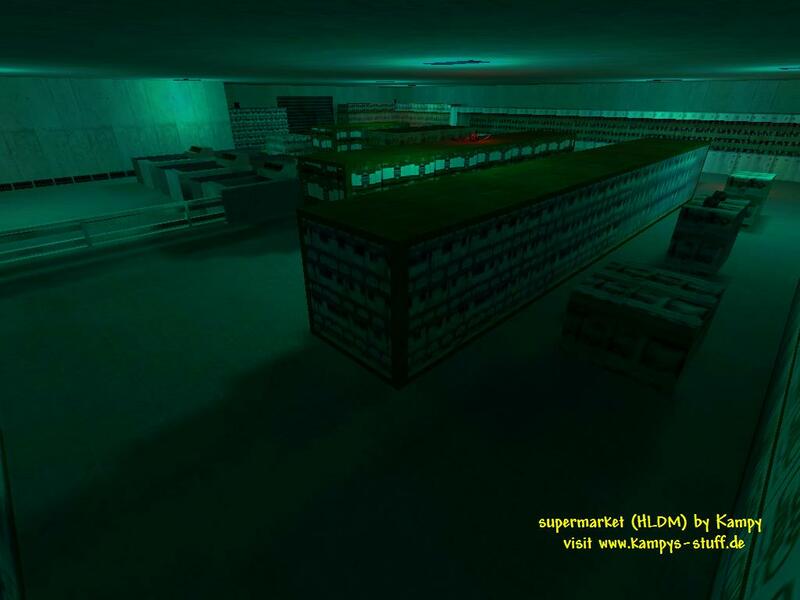 A lot of ammuntion and items can be found inside the freezer shelves and the longjump is near the cash register inside the small box where the cashier normally sits. The atmosphere is alright, but the architecture is rather simple. This map can be fun for some time. I recommend this to fun map players who play with a few people and like non-stop action maps. - to get the LongJump look in the box near the cash register. - with the LongJump you can get a batteries on the highest shelve and you can jump on the normal shelves a lot easier. - with 3 or 4 players you can try a nice spam trick - there are 3 cash registers and 3 boxes next to them. in one is the LJ, in one is health and in the last one there are handgrenades - duck and through them into the open area when you hear your enemy. It's quite effective when youre not attacked at the moment.